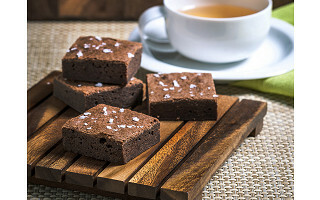 Take tastebuds on a decadent adventure with killer cookies and brownies from Salt of the Earth Bakery. This Brooklyn-based bakery ups the ante with sea salts from around the world. The salts are specially chosen to intensify the flavors of each particular treat. These beautifully boxed sets are a triple threat. In the cookie collection, “The Cookie” is the centerpiece—rich chocolate chips in buttery batter with flaky Maldon sea salt. A three-chocolate cookie and an oatmeal with plump raisins round out the trio. 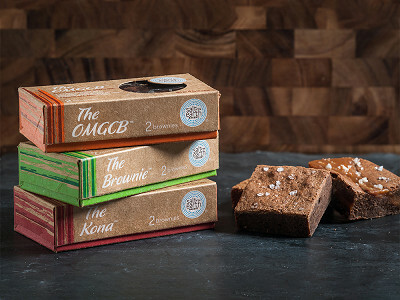 The brownie set boasts triple chocolate, espresso-infused, and one with luscious ribbons of handcrafted caramel. 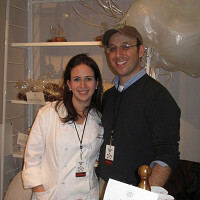 Founders Alexandra and Haskel Rabbani are married with three kids (their “taste testing team”). Alexandra always liked to cook, but she found her stride when Haskel was preparing for the bar exam. She started concocting out-of-this-world goodies to fuel his 17-hour study sessions. “The Cookie” was a home run with Haskel and all their friends. They dared her to take it to the local market, and the buyer placed an order right away. The rest is Salt of the Earth Bakery history. 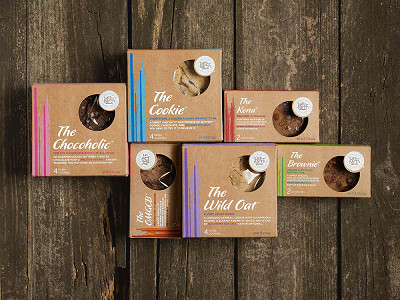 With three kinds of treats in presentation-ready packaging, it’s an experience whether you give them away or keep them to yourself. Hi! I’m Alexandra, owner and executive chef of Salt of the Earth Bakery. We’re thrilled to be able to share our salty-sweet treats with you! 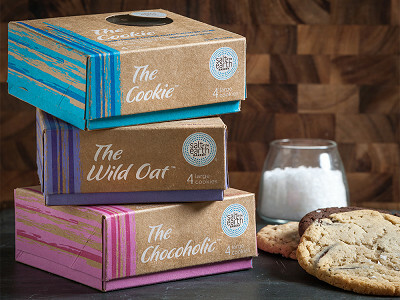 We work hard to create delectable baked goods and then catapult them to the next level by matching them with hand picked sea salts sourced from across the globe. We’re sure you’ll enjoy them as much as we do. I'm here to answer any questions you have! What are your ingredients and where are they sourced? (Non-GMO, Fair trade, etc.) Thank you. @Felicity We use all-natural ingredients, and our products are preservative free. As of this month, all of our chocolate is also fair trade. Thank you for the quick reply. Is there any chance of your switching to organically produced ingredients? @Felicity We will source organic where we can, but it's not possible at this point to switch the entire list to organic. @Arlene Yes. Our products are certified OK-Dairy. How many to a box ? And have you ever considered gluten free items ? @Diane It's four cookies in each box (12 to a set) and each is a large 20z cookie. 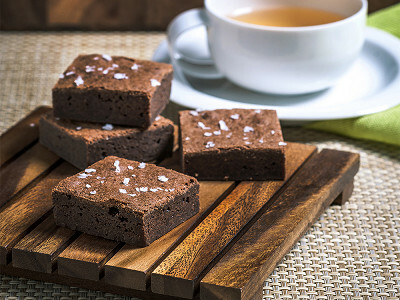 Brownies come two to a box (six to a set). We haven't tackled gluten free just yet. What we do, we make sure to do perfectly. Gluten-free is a baking science unto itself, and we'd insist on a perfect outcome. Hopefully, we will get there in the future.